A list of past events for the record! Everyone is welcome to come along and support, provide feedback, connect with a couple of our exciting entrepreneurial members. This event is open to all so spread the word and make an effort to get in here if you haven’t already – it is a must not miss experience – the buzz and excitement from seeing and helping people realise their passions. Be a part of the buzz of growing local businesses. So far we have two new entrepreneurs ready to PITCH to you and the panel. Kathy Sheehan runs ‘Sparky and Shady’ which is all about inspiring kids to make a ‘loving’ difference on Earth! She provides holiday workshops and afterschool classes for 7 – 15 yr olds to explore their sense of ‘self’, how to cope with problems and how to follow their dreams. She is doing a pitch to make sure she is focusing on her audience – because I want to make sure I’m helping parents achieve their goals for their children. Phil Sochon, Director of Fleet Safety Solutions is working to assist organisations to improve workplace driving safety. This delivers outcomes for business by reducing work driving injury and damage, lowering insurance cost and improving WHS compliance. Tom Strickland of SmartPAYIT – they have developed a unique mobile payment solution for businesses to get paid quicker and consumers to avoid the hassle of internet banking. The big question is have they tapped into the right market, do they need to pivot? They are keen for getting interest from an investor, so will be using this pitch to hone their skills. Jeff Goyen – an exercise scientist who stumbled into the world of online selling of some ‘products in demand’, starting with selling on Ebay, in particular power converters of all things. So far, with no marketing or promotional campaign whatsoever, he has sold over 300 items in the last 6 months. Taking this as an indicator of possible wider demand he is looking at his next strategic approach to get in position to ramp up the business over the next 6-12 months. April Briscoe – is the publisher of a successful bridal and wedding magazine in the region. Through listening closely to her clients and the demands of modern brides she has identified a potential new product line to help brides deal with tricky social media etiquette situations. She has done the research now is exploring how to take this to market.Lets see how we can drive them to grow their businesses.Can’t wait to see you there! Everyone is welcome to come along and support, provide feedback, connect with a couple of our entrepreneurial members. 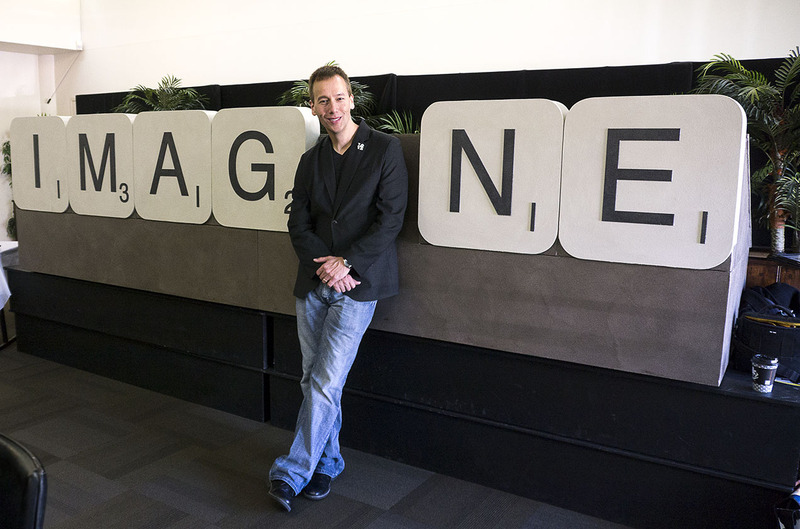 Peter Anderson has been maximising the potential of SIX DEGREES COWORKING since we began and is ready to pitch. He lives and breathes Drupal websites – custom designed or pre-packaged – he is there to offer the right type for your business needs. The pitch will be PackWeb is a local website development business specialising in building feature-rich, affordable websites for small businesses. Thea O’Connor is a health journalist, speaker and coach. She has turned her passion for health towards founding NapNow which is refreshing our lives one nap at a time. Six Degrees will be taken over on Thursday morning by our Biz Boost Program participants. 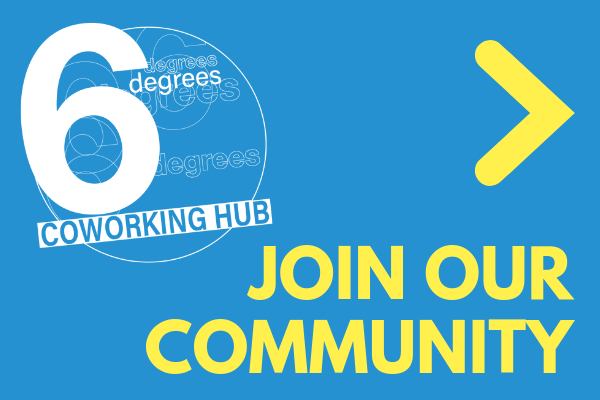 Six Degrees welcomes all social entrepreneurs to become part of a community of like-minded start-ups, entrepreneurs and dynamic businesses. It is a space where you can come together, share your passions, find collaborators, be inspired and motivated, be guided and connected, throw your ideas on the table, workshop them on the walls and generally work on your business and work in your business. Co-working is a fast growing and popular model of working for a range of workers from sole traders to employees from large corporate giants. With the vast majority of our workforce consisting of small or micro-enterprises working from home, co-working offers major benefits for them. Increasing income potential, improving productivity through to improving collaboration opportunities and strengthening the social networks are vital for Coffs Harbour’s and the Coffs Coast’s future resilience. You are invited to at a special gathering for Six Degrees members and supporters to celebrate all that is great about Six Degrees. After all the hard work we will be ready to celebrate! Did somebody say bubbles and nibbles! We invite you to come along and party with us, share your experiences and connect with us and each other. This is all those freelancers and soloists to have that Work Christmas Party you were talking about! THIS WILL BE THE LAST DAY OF SIX DEGREES FOR 2014 so let’s make it AWESOME. In the spirit of Christmas and Six Degrees – if you want to bring something to share please do! Be it a story, collaboration, outcome, future idea or food! Roll up early to get a good seat for an awesome line up that will be a journey in itself. We will hear from local entrepreneurs ready to PITCH their passion and we will share our experience and knowledge to help them grow their business. Do you have customers? Do you interact with them? – then Phillip Monk has something for you – and it is free (can it really be free??) to help you manage all those pesky customers! If you want to know what to expect from a PITCH SESSION check out our some of our previous pitches from the members page. KICKSTART Your PASSION – CREATE YOUR FUTURE! Or even organise others – KICKSTART Your Passion! Join social entrepreneur and local business owner Kerry Grace to explore the LOCAL context of enterprise with passion. – Find out how to link with and invest in social purpose and why it’s important to measure your impact. AND meet some of the amazing Coffs Coast Social Change 101 program graduates. Social enterprise, lifestyle business, heart led business, community enterprise, social business ALL terms that are thrown around in the modern business lexicon. Join us to find out more and get connected. Hilary Cadman will enthral us with her new proposition coming out of Cadman editing – which is a thriving business that provides writing, editing and training services to organisations and individuals. Karen Plumbe will be there to talk you through this exciting opportunity to give your business a boost. You have done a PITCH* – now what? BIZ BOOST is what! Do you need to inject some momentum into your business? Do you want to accelerate your learning? Do you have a real challenge you want to work on? Do you need time to reflect and act on your business rather than ‘in’ the business? Do you want a ‘board’ for your business – a diverse group of people who are interested in your business’ development? Do you want to share your challenges – the good, the bad and the ugly? Do you want access to a group of peer mentors? Peter Kageyama’s visit was warmly received by many of our Six Degree members so we thought it would be a great opportunity to continue the discussion at our next SALON. Peter’s presentation on loving your city was inspirational. It provoked a lot of questions and motivated a lot of us to want to be more proactive in creating a fun loving community to live in and create a community identity to bind us together. So let’s gather together under the roof of an inspiring host and reflect on those questions, hear from you about what action it has sparked or what desires it has aroused. Come along to participate in the discussion and run with it, apply it to your business, six degrees and the City and see where it takes you, me, us! Our PITCHers this session are all focused on Health and Happiness – and who doesn’t want more of that in their lives – we do! – My Holland is a recent graduate from the Coffs cohort of School for Social Entreprenurs program. She is our resident happiness expert who works with businesses to measures happiness and emotional intelligence within workplaces, to enable positive changes in decision making processes and the way employees deal with stress, empathy and self confidence. – Rosa Mauvra has already had a taste of the what the pitch is about when she was first encouraged (or was she pushed) to tell us more about Whole Health Solutions at the very first session at one of the pop-up venues. She has been inspired by overcoming her own health struggles over many years, and now passionately shares the fruits of her success using the simple, effective & natural tools of Food Medicine and Healthy Lifestyle Change. Now she is ready to give us the full Pitch with a little bit more prep than the first time! – Alison Heagney – one of our newest members with a very fresh idea wants to test a few things out with our collective intelligence and taste buds. Come along to be inspired. Sandra Bennett – member of six degrees and part of local business duo Applied Vision will give us an insight into Talent Dynamics and how a greater awareness of your talents and approach to work can benefit you and your business. Talent Dynamics is a comprehensive and innovative business development tool that can identify individual talents, and pathways to channel those strengths to increase productivity, results and profit. Whether you are an individual entrepreneur, or a member of a business/organisation, Talent Dynamics will guide you to leverage your value, and collaborate with others to create more flow in your business and life. To stimulate the conversation we have invited Anne Blair from Big Vision who thinks it vital for all businesses to have clarity around your product or service before taking it to the world, or even to the neighbourhood. You don’t need to be a big business to benefit from having a clear single message that resonates with your customers. Come along to pick up this discussion and run with it, apply it to your business and see where it takes you. – Ian Kinny and his eButton will show us that inspiration for entrepreneurs is all around – where we normally see challenges they see opportunity. – Christina Pell has set up ECO Interior Design and is driven by the discovery of innovation in the fields of sustainable design and being able to introduce it into the client’s brief. – flossy-p I would love to call her Six Degrees’ artist in residence…an illustrator extrodinaire will share her passion for visual storytelling. If you want to know what to expect from a PITCH SESSION check out Josh, Vivien and April from last time. 12pm – LUNCHTIME LIGHTNING SESSION = Musica Viva want to redesign their touring and connections to regional towns like ours…got ideas, here is the time to give it to them. In recognition of the changes occurring in the regional touring landscape in recent years, Musica Viva has identified an opportunity to reinvent its regional touring program based on twin goals of artistic vibrancy and relevance, with the aim of creating a meaningful national music touring program and/or capacity building activities that engages and excites artists and audiences alike.